Nick and Kylie. So, Kaiti’s boyfriend actually has known the two of these guys for FOREVER! So when they reached out, we were definitely STOKED! And when we heard the wedding was going to be at Ethereal Open Air Resort in Temecula, CA, we were even more stoked! This space is gorgeous! The getting ready spaces for both the guys and girls were perfectly designed! I seriously was in love with the whole space! Including these cute little yurts that we most definitely used to their full potential! 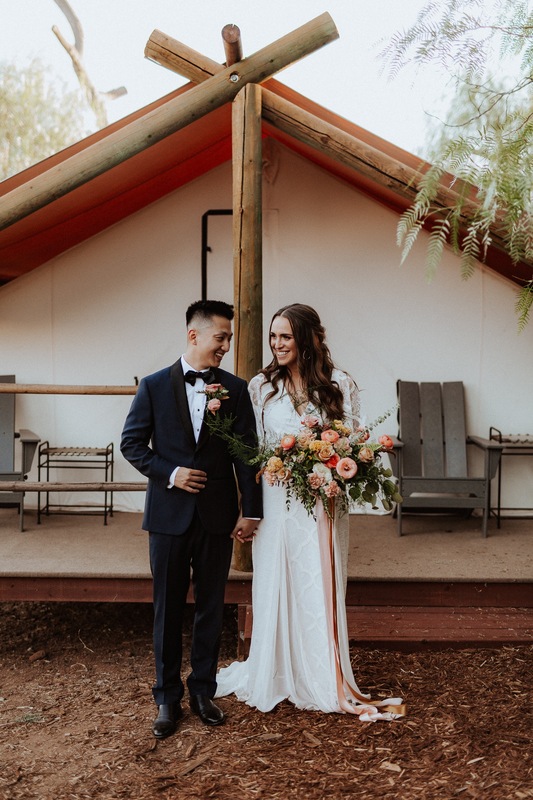 They had Sweet & Lovely Co. do the florals for their big day. And they are friends of ours and dear god! It was good. They did such an AMAZZINGGG job, and we were sooo dang lucky to take photos of their beautiful product. And top it off with a perfect Grace Loves Lace dress and a navy suit! We were soo damn lucky to be there! Nick and Kylie, we’re wishing you the damn best! Love you guys! Becca & Scott. Joshua Tree Engagement. Joshua Tree, CA.